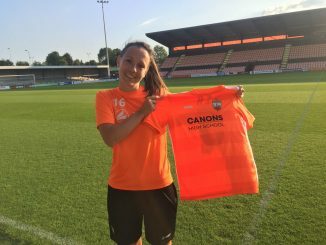 London Bees have secured their first signing of the summer in goalkeeper Sarah Quantrill, who joins from Millwall Lionesses. 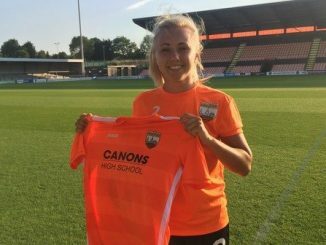 The former WSL 1 champion rejoins Bees’ boss Luke Swindlehurst after previously having successful spells together at Liverpool. Quantrill is looking forward to a new and exciting challenge. 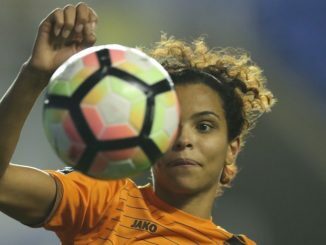 Talking to londonbeeswsl.com, she said: “When I spoke to Luke, his ambitions for the club matched what I want to achieve and hopefully we can go on and compete for the title. I cant wait to get started. Swindlehurst is pleased to have secured his first addition of the summer window. “I’m delighted to bring Sarah to London Bees and I know fully what she can offer the club in terms of experience and quality. “We have worked together before and have always kept in contact and I believe this is an exciting project for the next stage of career. “I’m 100% sure Sarah has everything we need to take us forward and her profile and personality will have a very good influence on others in the group. “With high level shot-stopping, distribution, and composure under pressure, these are stand out factors which really impress me. Within our playing style, the goalkeeper is so important as we like to build from the back and Sarah can fit into this style perfectly. Quantrill will join up with her new team mates as the squad return to training next week and then they take on Oxford United in their first pre-season friendly on Sunday 8th July.